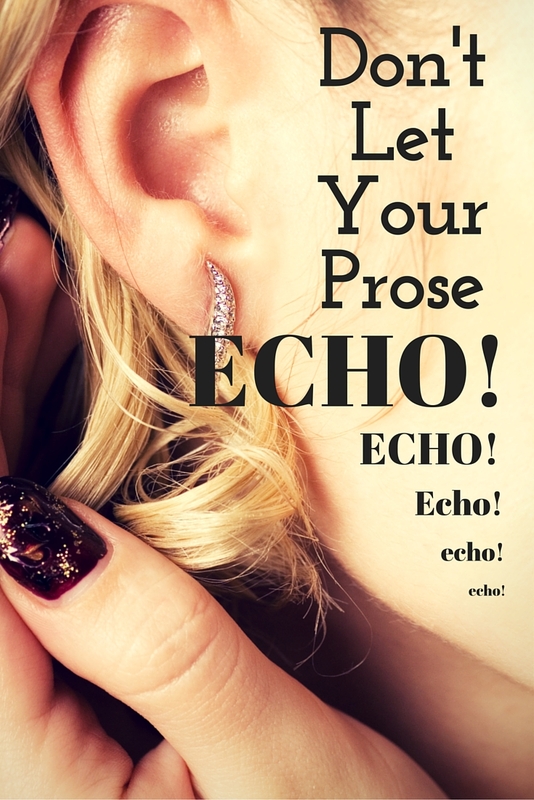 As I child, I lived near the Continental Divide in New Mexico and we often played, “Echo!” Throwing words at a mountain is a great children’s game, but echoes can ruin your story. There are a couple major offending prose elements to be on your guard against as you write. The subject verbed. The simple declarative sentence is a sturdy workhorse of narrative prose, but if used too often, it becomes boring. The problem often arises when an author attempts to replace weak “to be” verbs with more appropriate verbs. Not: The sun was hot. Nothing wrong with that revision, and in fact, there’s a lot right with it. The “to be” construction just sits there, but the verb “sparkled” shows the scene with more clarity and detail. But if you repeat that over and over, it’s too repetitive. The sunlight sparkled. The lake glittered. The mountain tops gleamed. Those are great verbs, but the repeating prose elements are annoying. Adjective, adjective noun. Another echoing sentence structure is the repetition of adjectives and a noun. Besides being cliches, it’s the echoing structure that is boring. Watch for this and other echoing sentence structures. Headwords. The beginnings of sentences are also ripe for repetition. I tend to overuse, “For example.” Other options might be “for instance,” “In one case,” and so on. The repetition of “The” at the beginning of the last two sentences might be tolerated as long as I don’t repeat it a third time. The echoing headwords problem is annoying! Galloping “I”. I love the description of the use of the pronoun “I” as galloping. Often I see it in first person stories, but I know it can also creep into third person dialogue. The narcissism becomes annoying when you see the story rush past. I know my prose will never get lost in the “I” problem!